If you’re not familiar with the term precipitous labor, it basically means a labor that lasts less than 3 hours from the start of the first contraction until the baby is born. It is sometimes referred to as a precipitate birth or delivery, rapid labor, fast labor or a plain, old speedy delivery. While many women who have NOT experienced a precipitous labor might think this sounds like a blessing, it’s not all it’s chalked up to be. For more information on that, you can read my post Precipitous Labor: The Traumatic Truth About a Speedy Delivery. It’s common to experience a precipitous labor for a second or subsequent delivery, but having one with a first child is pretty rare (like 3% rare). The time frame for recovering from a precipitous labor, however, isn’t different from any other postpartum recovery. Here’s some important information that moms need to know about recovering from a precipitous labor. While laboring quickly generally means less physical trauma and fatigue, it’s not without it’s own set of dangers as well. The whole point of moving slowly through the different phases of labor is to help our bodies stretch and prepare for the giant watermelon we’re about to push out of it. But with a precipitous labor, our body has less time to warm up for the big push and can result in some pretty bad tearing. Usually there isn’t time for an episiotomy, so the degree and direction of tearing can be unpredictable. Recovering from a precipitous labor can often mean stitches down below. This makes for a very uncomfortable postpartum recovery period (speaking from experience). There are several different home remedies available, but ice will become your best friend. Here’s a quick and easy tutorial from Swaddles n’ Bottles for DIY “padsicles” to help reduce swelling and pain. We’re all supermoms and the faster we can get out of bed after giving birth and back to our regular routine – the stronger we are, right? We may feel GREAT immediately after a short labor, but that doesn’t mean that our bodies have completely healed. Recovering from a precipitous labor takes just as long as recovering from a non-precipitous labor. The first few hours, days, even weeks after giving birth are essential to the healing process and should never be rushed. There are several parts of the postpartum recovery period that do NOT occur precipitously. The uterus needs to shrink back down to it’s normal size and that process can take up to 6 weeks or more. As the uterus contracts back to it’s normal size, some women experience cramping (similar to menstrual cramps), especially while breastfeeding. However, some women do not feel any cramping or discomfort at all. Everyone experiences it differently, but for me, it was severely worse than the labor pains, and got more intense after each delivery. I was given drugs for the pain, but since I was breastfeeding, I turned to essential oils and heat (both heat bags and stick-on heat pads) to help me get through it instead. Whether you feel it or not, the uterus is still contracting and will need plenty of time to shrink back down. Stay in bed with that baby! It might be tempting to get up and do things because you feel great but the skin to skin contact in the first 24-48 hours is essential to bonding, breastfeeding success and can help ease symptoms of the baby blues and postpartum depression. Regardless of where you spend those first few hours after birth, whether it’s a hospital, birth center or in your own home, just stay in the bed and hold that baby for as long as you can. Skin to skin bonding is an important, but often skipped part, of recovering from a precipitous labor. Don’t underestimate the benefits of skin to skin contact for both mom and baby. Just like during pregnancy, a postpartum spike in blood pressure can be dangerous. Roughly 24 hours after giving birth to my second child, I experienced something I had NEVER experienced before in my entire life – high blood pressure. I had resumed all my normal activities less than 12 hours after giving birth to her and because of that, my body didn’t have time to heal. In addition to the high blood pressure, I developed a fever, severe headache, nausea, swollen hands and feet, blurred vision and dizzy spells. It’s called postpartum preeclampsia and it’s rare for women who did not experience preeclampsia while pregnant. Thankfully, some rest helped my blood pressure regulate and I didn’t develop any further complications or need medication but it can become quite serious if left untreated. Physical symptoms are our body’s way of telling us to slow down and take it easy. Those hormones will be in full swing after giving birth. Recovering from a precipitous labor needs to occur mentally and hormonally as well. For months your body has been working hard to maintain two humans and now it has to adjust back down to one. The baby blues affect nearly 80% of all mothers postpartum, so it’s something to prepare for after giving birth, whether or not you’ve had a precipitous labor. Let me be clear when I say that there is no known link between precipitous labor and postpartum depression. Many believe that a traumatic labor can lead to postpartum depression but precipitous labor is not always a traumatic experience. In fact, many women who have one really DO feel lucky and blessed that they were spared a long labor and delivery. In my own, personal postpartum depression story, I talk about how I rushed through my recovery with my second child and eventually wound up getting postpartum depression. I can’t say for certain that it had anything at all to do with my mental state, but I DO regret rushing my postpartum recovery period. 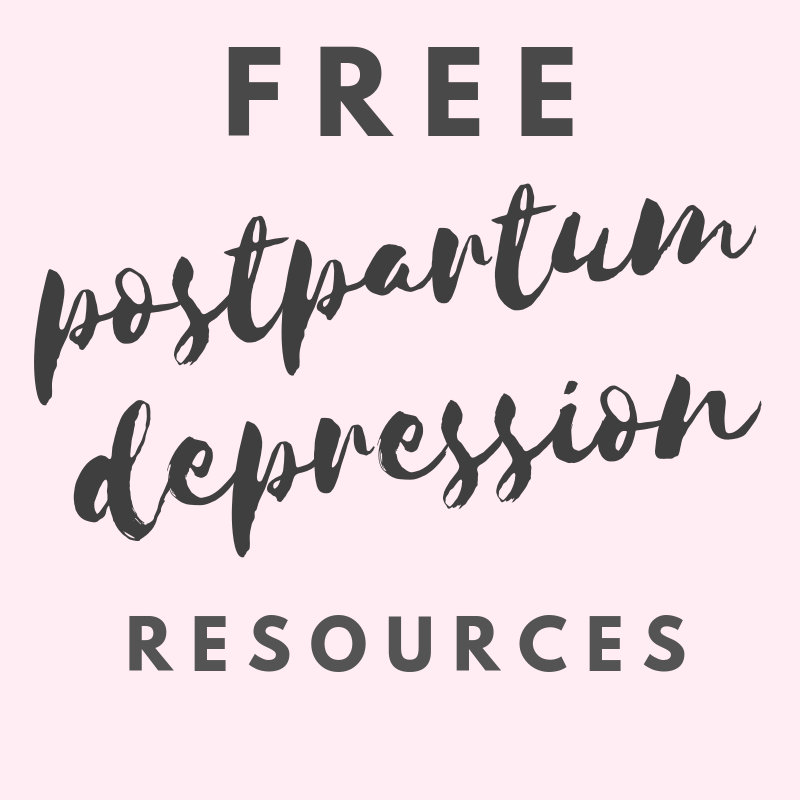 Whether your precipitous labor experience was traumatic or not, make sure to know the warning signs of postpartum depression in order to be prepared. Everything happens so quickly when it comes to having kids. There are moments and memories that we can hold onto and savor each second of – and there are some that we have no control over. While we may not be able to choose whether or not we have a precipitous labor, we CAN choose not to rush our recovery. Just like anything with motherhood, remember to take care of yourself and give yourself enough space and time to heal. A mother’s physical and mental wellness should always be high on the list of priorities.